Our Online store covers a full range of Gasket, Sealing profiles, window sealing and associated accessories for specialist industrial applications such as custom enclosures and cabinets, control panels, HVAC, electrical control panels, electronic housings, food processing equipment, automotive vehicles, railway rolling stock and rail-side cabinets, agriculture and marine. 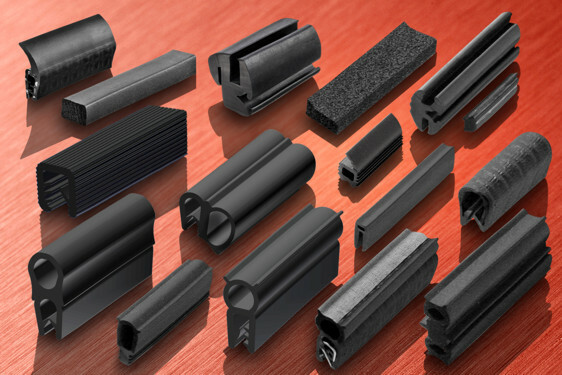 Sections are available in EPDM, NBR, Neoprene and PVC. Where electromagnetic compatibility is necessary, we can also supply special profiles with EMC/RFI shielding in combination with water and dust sealing – contact us to discuss your requirements. Share the post "Window gaskets and sections in EPDM for sealing enclosure doors"